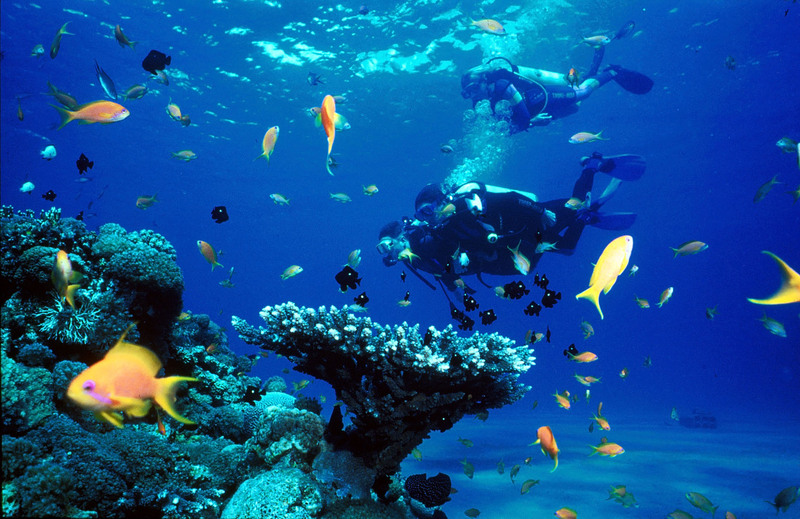 The underwater nature reserve in Palawan, Tubbataha Reef Marine Park (or ‘Natural Park’), is considered by many divers as one of the best diving spot in the Philippines. It is situated 93 miles off the southeast coast of Puerto Princesa City at the heart of the Sulu Sea, with a total area of 97,030 hectares. Tubbataha Reef was also declared a World Heritage Site by UNESCO in 1993 due to its marine biodiversity and coral reef conservation. The Tubbataha Reef plays a very significant role in the Philippines’ marine biodiversity. The underwater creatures found in the reefs have an enormous variety, even the two main islets along Tubbataha are natural breeding habitats for critically endangered avian species such as the Black Noddy and the Christmas Island Frigatebirds. Tubbataha Reef is the first and only national marine park in the country. Its name was derived from the words “Tubba” and “taha”, which means “long reef exposed at low tide” in local Samal dialect. Due to the reef's isolation, it has become well-protected from exploitation and destruction. In the 1980s, fishermen from all over the Visayas region were able to reach the reefs using motorized boats rather than the traditional sailboats. These folks wildly used cyanide and dynamite to maximize their fishing catch. Over the years, divers and environmentalists have fought for the rehabilitation and preservation of the Tubbataha Reef. The entire park has two coral atolls divided by an 8-kilometer wide channel. The tropical atolls are known as the North and South Tubbataha which houses an outstanding variety of coral reefs, colorful fish, endangered Sea Turtles, and Gray Reef Sharks. Each atolls also has its own lagoon situated in the middle, and small sandy islets around its area. North Tubbataha – the north atoll is the largest area in the natural park, which is 10 miles long and 3.1 miles wide. The north islet can be found at the northern part of its lagoon, while the ranger station is situated on an islet at the southeast edge of it. Another park attraction, the Amos Rocks, can be found at the southwest tip of the north atoll. South Tubbataha – the south atoll is 3.1 miles long and 1.9 miles wide. The Tubbataha Lighthouse can be found at an islet at the southern tip. Jessie Beazley Reef – a smaller reef which is situated 12 miles north of the two atolls and is only half a kilometer in diameter. The reef is popular among divers for its Manta and Eagle Rays. Aside from its biodiversity, the coral walls of Tubbataha are also wonderful diving spots for tourists (which are usually compared to the coral walls of the Great Barrier Reef). These walls are known to provide natural habitats for colonies of fish, eels, and even the endangered Hawksbill Sea Turtles. The Tubbataha Reef is not only a sanctuary for marine life, but also to migratory birds. Tourists can visit the lighthouse islet and see thousands of seabirds nesting there. 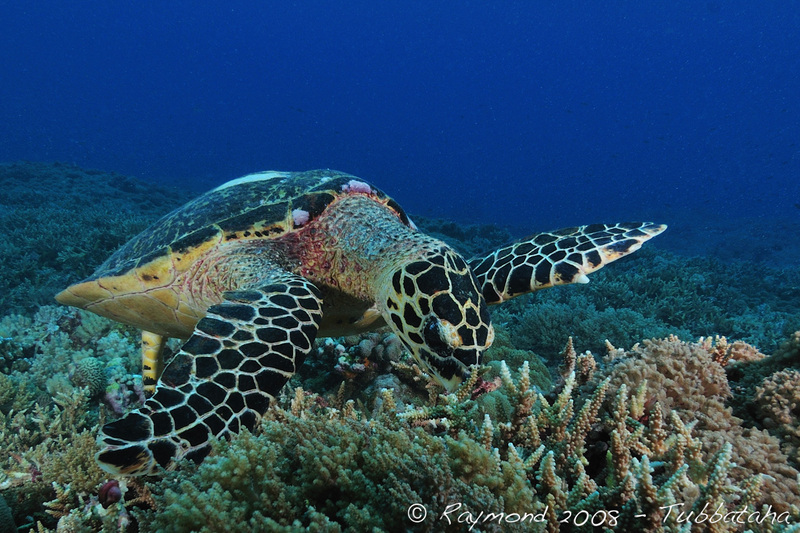 The diving season in Tubbataha Reef runs from mid-March until mid-June, which is only 3 months long. During this time of the year, the weather conditions and the calmness of the water is ideal for diving and exploration. From Manila, tourists can take regular fights to Puerto Princesa City, Palawan. At the airport, you can then take a motorcycle ride to the pier, where boats going to Tubbataha Reef are available. Some tourists prefer to book their tours before they go to Palawan, dive operators can then provide them with a convenient transportation from the airport to the pier. From the pier, it takes around 10 hours to get to the reef. Most boats leave the pier between 6 PM to 8 PM (some slower vessels leave the pier earlier) and arrives in the morning. Before departure, tourists are briefed and are asked to fill out important forms and waivers. Dive schedules and safety regulations are also given pre-departure. Upon reaching the park, the boat will move around several diving spots depending on the dive cruise’s itinerary. The first dive is usually after breakfast on the first day. In addition, transition ships going to Tubbataha Reef are also available in Batangas (in Luzon region) during March, and disembarks back to Batangas or in Cebu during June. Divers are advised to maintain a safe distance from marine life, not to touch any marine life, and not to collect anything (dead corals, shells, and other organisms) from the natural park. For convenience, the dive operators will provide everything that the tourists will need when diving and exploring the Tubbataha Reef. All you need to bring are wet suits or rash guards. You can check out the Discovery Fleet and Expedition Fleet websites for dive cruise schedules and rates. You can also view the equipment rentals, boat route, dive maps, and itinerary of each dive cruise. It’s always better to get an idea on what to expect and to plan ahead on excursions like these.